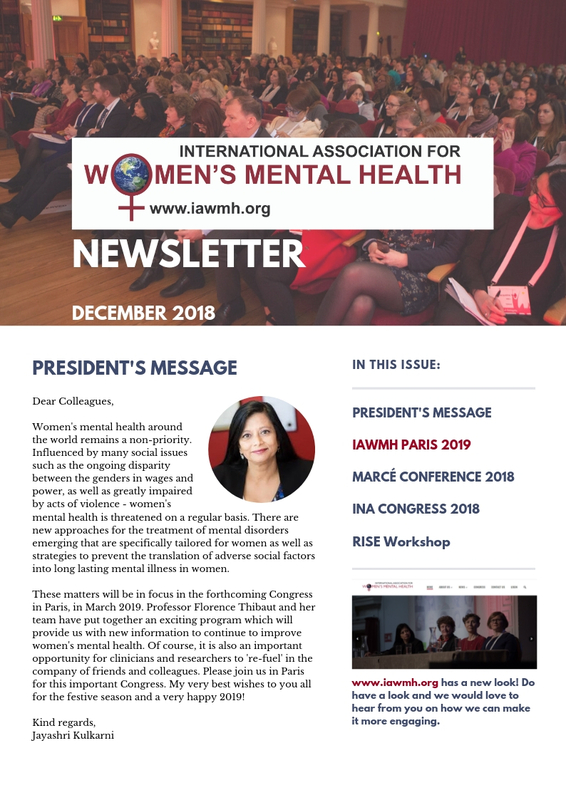 Information about the Paris Congress in March 2019. Reports from the Marce conference in Bangalore, September 2018. Reports from the WPA conference in Berlin, 2017. 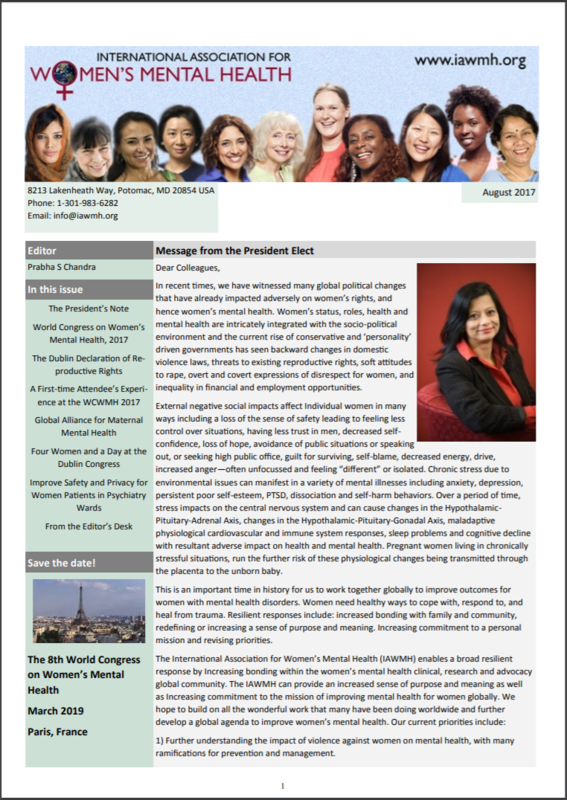 Invitation to the 8th World Congress on Women’s Mental Health in Paris, March 2019. 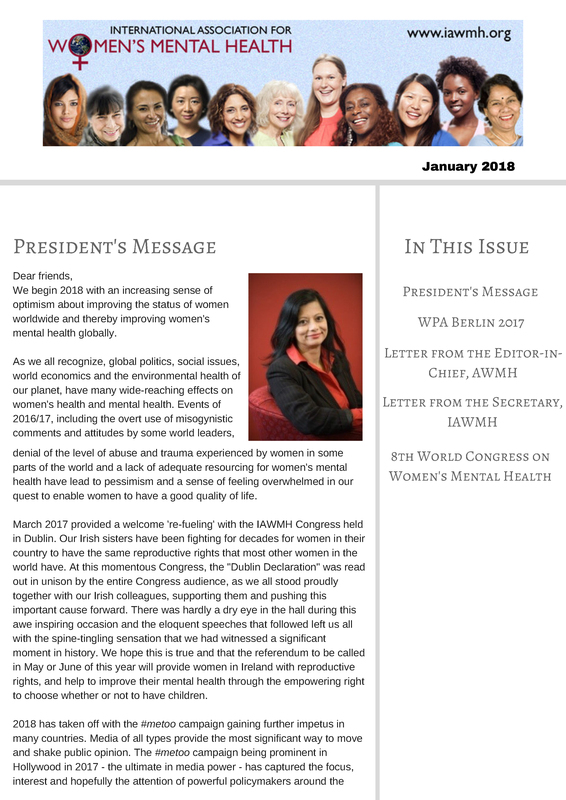 Reports on the IAWMH Congress in Dublin – March 2017 featuring an account from a first-time attendee, a conversation among four of our members, and more! 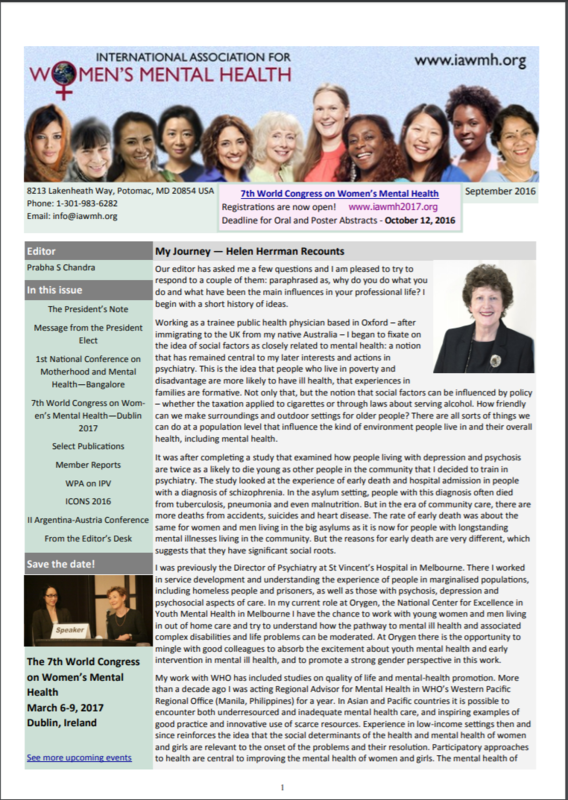 Report on the 1st National Conference on Motherhood and Mental Health in Bangalore – October 2015. Invitation to the Dublin Congress. The WPA’s stand on intimate partner violence (IPV). 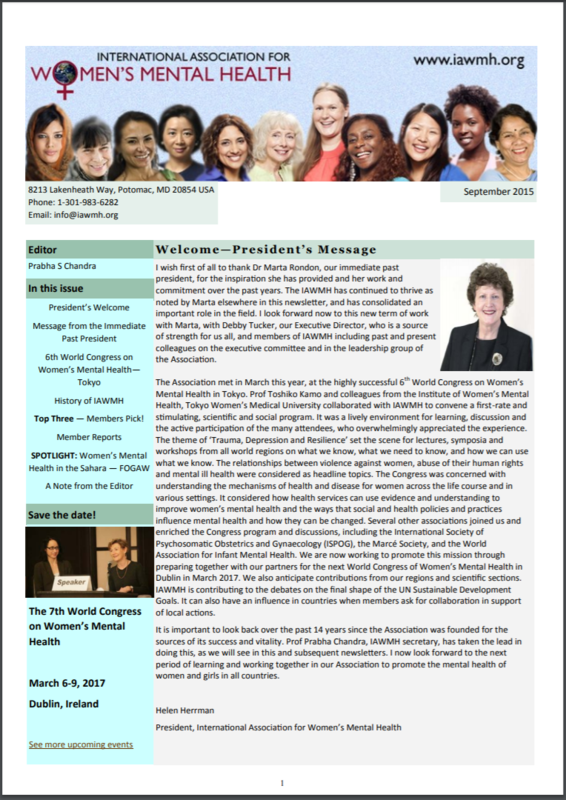 History of the IAWMH – How it all began! Report on the Tokyo Congress 2015. The leadership list their favorite books on women’s mental health.